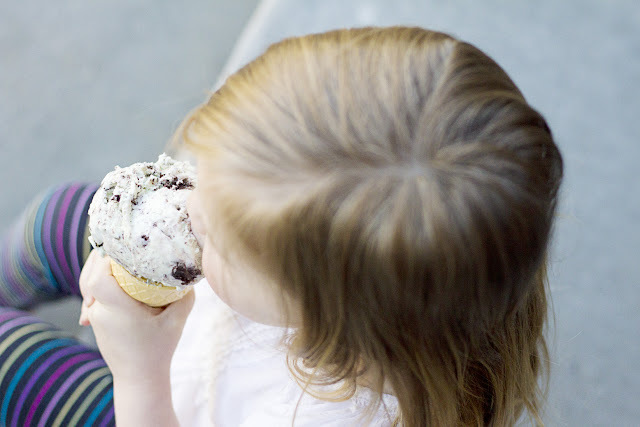 Here's another amazing ice cream recipe for you! This one is even quicker and easier than the cookies n cream recipe I posted several weeks ago! 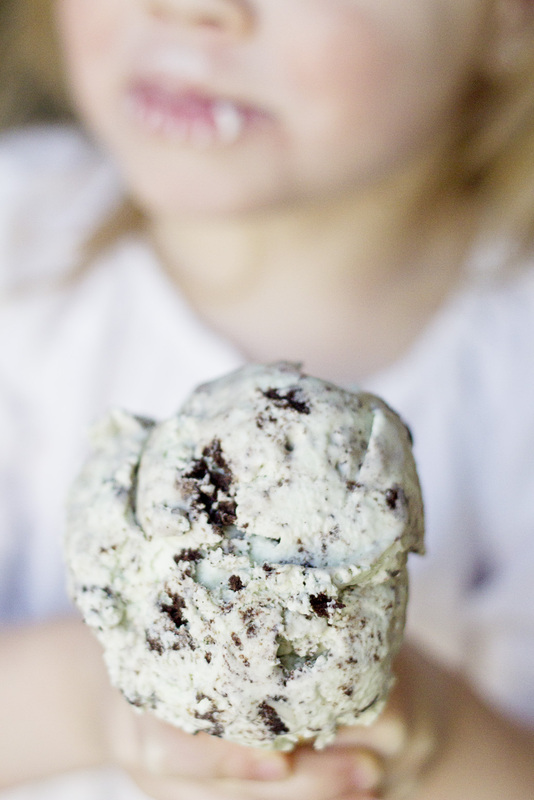 It has the perfect creamy to mint ratio and let's not forget the perfect amount of chocolate creme cookies! I've made this recipe minus the cookies and added grated 60% cacao Ghiradelli bar and it was incredible too! Try it both ways! You won't be disappointed! Whip the heavy cream to stiff peaks. Add the condensed milk, extracts, food coloring, chopped cookies and mix thoroughly. Pour into a clean tupperware container with a lid. Put plastic wrap or wax paper right against the surface of the ice cream mix, then cover with the lid. Put in the freezer for 6 hours to set up! Then enjoy! Easiest ice cream you will ever make!!!!! 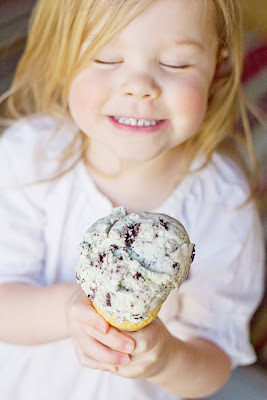 Sorry but I can't even think about the ice cream when I see that amazingly adorable little face. Good grief! So cute! Haha Kalani! She hates taking pictures and therefore acts accordingly! (eyes closed, forced grin). But thank you! I'd say she is sweeter than the ice cream as well!;). Audrey, you have to make it! You won't be sorry! Promise! WOW! Sounds so yummy . . . and fun for my "helpers" to assist with as well! I love "easy"!! We are definately going to try this. Also, and this is totally random, but I'm always on the lookout for good freezer meal ideas. I just took dinner (a freezer meal) to a family and for dessert gave them frozen cookie dough. But homemade ice-cream would be the perfect dessert for a freezer meal! Especially during summer time. Just thinking out loud here. Thanks Kjirst! You guys are gonna love it! Love you cuz! Jill- I love that idea of taking ice cream to a fam! I'm so going to do that! Kara, you are making this WAY too easy!! Mmmmmmmm! Haha thanks Kalani! You are so nice! Audrey it's so good! Try it! Jill, I hope your ice cream turned out fantastic!